Although our accommodations are comfortable and spacious, fun and activity are the best part of vacations for humans and dogs alike. We offer a variety of popular and discounted activity packages for you to choose from to ensure your dog has the very best experience while away from home. Bella absolutely luvs coming here for daycare! She has been groomed here too! Which was great! This weekend we boarded her for the first time (10mo old) and I knew she was safe, happy and w/ people who would take good care of her! Thank you for all you do! Also go being patient w this new dog mom!!! The staff here is always great and my menagerie (cat, lizard, hamster) is always happy and well cared for. Norwichtown Pet Resort & Spa is the absolute best around! We've had dogs for over 30 years and have used many kennels in the area. I wouldn't even put Norwichtown Pet Resort & Spa in the same category with the other kennels. It's so much more than a kennel! Boo loves going there and always comes home exhausted, but refreshed. It's only fair he has fun while we have fun. Everyone we've dealt with at the Resort is friendly and just seems to adore Boo. It's a wonderful environment for the animals and we really like having a place for Boo that treats him so well. We don't use you very often because we don't go away that much, but when we do, it's such a relief to have him there where we know he will be well cared for. We aren't good at writing reviews but it's only going to take four words. Everything is always perfect. Thank you to everyone that works there. Brandy, our chocolate Lab, has been going to Norwichtown Pet Resort since 2009. They are a second family to Brandy and they take the best care of her. The entire staff is devoted to taking care of the pets with love and skill. I highly recommend the Norwichtown Pet Resort for the best care of your pet and your peace of mind. We have been boarding our dogs at Norwichtown Ret Resort for years and have always been extremely satisfied with the service provided by the staff at the Resort. We are very comfortable leaving our dog in their care and the proof of the care he receives is best typified by the excitement he displays when we drop him off. He is a rescue dog and is wary of strangers but he really shows how much he enjoys interacting with the staff at the resort. Our girls (Ellie & CiCi ) always love when we pull in the driveway to the kennel. They are happy to see everyone. They have been going now since they were puppies & they are now 5 and 4 1/2. We love the care they are given and how great they look after their grooming. We call them our fashionista’s in their festive bandanas! Would recommended this kennel for anyone’s family pet. Good job! We have been a customer for years taking our dogs there for day camp, grooming and overnight stays. The staff are awesome in that they go that extra mile to treat your pet as family. Our puppy Henry can’t wait to arrive at day camp to play with staff, and his canine friends. Great first time experience bringing our puppy for evaluation and a short stay. We feel very comfortable bringing Jake back again anytime. Very reassuring that pet resort was looking out for our puppy. Also, awesome website to easily book and pay for appointments. They also took a pic, showing Jake playing with another puppy. Norwichtown Pet Resort is truly amazing. The wonderful staff has taken care of our dog for many years, and as he has aged, they have shown kindness, patience, and dedication in trying to keep him as comfortable as possible. Rebecca, the groomer, is excellent at her work, even detecting a medical problem with our dog that the vet had not noticed. We highly recommend the pet resort to anyone in our area. We have friends/family who live out of state who wish they had this type of second home for their pets while they're away. Norwichtown truly provides a home away from home with a generous, kind, hard-working, calm staff, headed by Caitlin, whose helpful advice, especially with an older dog, has been very beneficial. We would give a 6 star rating if there were one! This was my second time boarding my cocapoo and I was as happy as the first time. It is so nice to leave my best friend, knowing she is in a good place. The girls on staff definitely take the time to get to know your pet and they are very friendly and compasionate. I feel very confident in this place and I love the flexibility on pick up hours. It is nice for my dog to have a nice place for her own vacation. 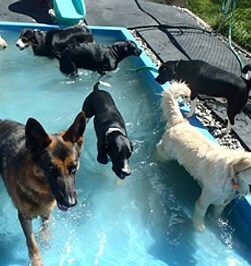 Norwichtown Pet Resort definitely lives up to their name as they truly run a resort for dogs. The caring personnel are phenominal. KZ Casum had his first time away from us and we couldn't be more pleased at the care that was given him. He was taken care of as if he was on vacation too. I was so worried that he wouldn't behave but he seems to have enjoyed it immensely and they said he was a gentleman. He also had his first bath and grooming and Rebecca is the best. We had given him the nickname of Mr. Grinch with his feathered feet and Rebecca fixed that along with all the mats in his fur. No more Mr. Grinch. YEA!! I will always use Norwichtown Pet Resort and will definitely spread the word at the excellent care they give. We are so happy we found you! When Sophie was a puppy we had about given up on trying to find a resort we could feel comfortable with and leave her for a day or night. I brought Sophie to Norwichtown Pet Resort and met Caitlin who offered to show me around. She explained the pens to me and nervous Sophie was hesitant to enter but Caitlin quickly removed a small header part and that was it. Sophie entered and we have been visiting there ever since. All the people who work there are energetic and helpful and my dog loves them. We couldn’t ask for a better place. Thank you for all you do. We left our dog, Kali here once again while on a three day vacation. The staff is always friendly and professional. Kali goes with them willingly and happily. When we picked her up she had had her nails cut and rounded as requested and they looked great. She was happy to be home and slept like a baby. Definitely recommend Norwich Pet Resort! I cannot thank your amazing staff enough for taking such great care of Gilbert during his first time ever away from home in 10 years! The staff was able to accommodate all his special needs and he was very well cared for!! Highly recommended for all pets to enjoy vacationing at Norwichtown Pet Resort!! Hats off to all and a heart felt Thank you!! Excellent care of our 4 legged family members. Your grooming and care facilities & personnel are a measure of your love of animals. As soon as I turn onto your driveway, both of our dogs get so excited it is hard to control them. Most times, they are so excited they almost pull me to the ground trying to get inside. They love the attention that your staff provide while there. Thank you for taking such good care of them when we are away. this is a wonderful place ! a staff of very helpful, responsible and nurturing people. Great accomodations, a full complement of services. prices are reasonable. I am glad you are available and my dog Toby loves coming here ! He gets a lot of exercise and attention, has fun playing with his friends! thank you ! My dog loves the people who work here. She can't wait to greet them and doesn't like leaving. That being said, at other facilities she dreaded going and would sulk the whole time there. Now she sulks for two days at home after staying at Norwich Pet Resort and Spa. It is a relief knowing that she is cared and loved for on her vacation. We have two VERY large dogs and, as those of you with giant furry buddies already know, sometimes the big guys can be treated a little differently because their size alone is intimidating. Not so at Norwichtown! Our boys are part of the Norwichtown 'family'...every pet who stays there, either for day camp or boarding, is treated as a special member of the family. The staff really takes the time to get to know each pet's personality, likes, dislikes, fears, etc. and they accommodate to make sure pets have a delightful stay. Needless to say, this warms our hearts and we have a 100% comfort level when we take our boys to 'camp.' They love it, we love it and we know they are safe and happy. The extra services are top-notch as well. Grooming is impeccable, dog walks are enjoyable and training is compassionate and effective (when you have a 200+ pound pal, obedience is a "must!") Give your pet(s) a real treat. Let them play with others, learn and socialize. All in a healthy, nurturing environment. And if they meet Arthur or Henry, guaranteed their tails will be wagging! Trust worthy, caring, reliable and a loving pet resort. Brandy has been a client these past 9 years and we wouldn't trust anyone else with her care. When we go away it is with a peace of mind to know that she is very well taken care of and safe. We love Norwichtown Pet Resort. Our shepherds, Bella & Buddy, just completed a 1-week stay at the spa. Our vacations are enjoyable because we know they are in great hands with Caitlin & the whole staff at Norwichtown Pet Resort. We can't say enough about the spectacular service they provide and the loving care they show our precious pups. There are very few people or places we trust with our rescue dog Roxy andNorwichtown Pet Resort and Spa is top of our list! (actually the ONLY one! )The staff is kind and respectful. The kennel is clean ,clean clean! When I picked up Roxy today someone was power washing the outside! Love it! The only negative thing I would say is it's a 30 minute drive for us- how about a Mystic Pet Resort and Spa! Out first time using a kennel to board our dog. Picked him up and did not want to leave! Awesome job by all! We are very pleased to have Norwichtown Pet Resort in our community. We have a temperamental bully who has certain needs. This resort is attentive to our needs and executes accordingly. It’s a pleasure to take a vacation or be away and know that our fur baby is being treated with care❤— we highly recommend! Thanks for taking such good care of George! This is the first time I've left George, our senior rescue dog, overnight - and we were gone for a week. I'm a nervous dog mom, and it was hard to leave him, even though he has enjoyed being groomed at Norwichtown Pet Resort and attending doggy day camp. We like the people, and they love George - which made me feel better about leaving him! 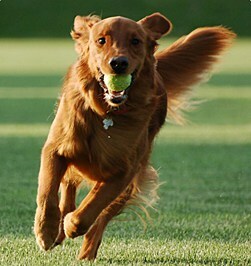 It was so nice to get report cards about George in my email, and even to see a picture of him playing with other dogs. During our time away, George had quite the vacation! While we were away, George attended day camp, played with other dogs (we even got a picture of him with his pals! ), went on nature hikes, and got a bath and snazzy haircut before coming home. He appears to have had a great time! I trust the folks at Norwichtown Pet Resort to take good care of my precious pup when we go out of town. An added bonus is that on a previous visit for grooming, Rebecca (groomer) recommended we take George to the vet to have his ears checked. As it turned out, he had an ear infection. The vet gave kudos to Norwichtown Pet Resort for noticing something we, his owners, had missed, and encouraging us to check it out. Many thanks for taking good care of George! Norwichtown Pet Resort and Spa is the perfect place for our elderly Yorkshire Terrier. Because of the age of our little yorkie, GG, we were hesitant to go anywhere, not knowing where to feel comfortable boarding her. The Norwichtown Pet Resort and Spa took away the anxiety (Ours and GG's). Every one was courteous, helpful and sensitive to our neurotic needs. We would highly recommend for pets of all ages. It was nice to be able to schedule a grooming during GG's stay, and she returned home clean and content. 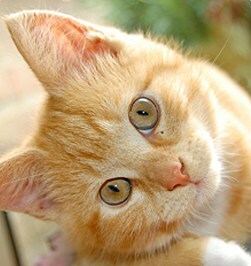 The web cam is a nice feature for owners, like us, who want to get a view of their beloved pet while away. Thanks to all and we will see you all again. We have nothing but great things to say about Norwichtown! It's clear the employees/counselors love animals, and they have always taken great care of Pippa, our rescue pup. She enthusiastically enters the building, and LOVES her all-day play group, romping, chasing and tussling with the other dogs. 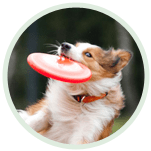 We very much enjoy the new online format for the daily report card, and especially like seeing a picture of our dog at play each day! Several months ago, while Pippa was there for a week-long stay, she sustained a minor injury requiring medical care -- on a Sunday, of course. One of the staff spent the better part of the day with her at the Middletown Vet Hospital (for a nominal transportation fee), then showered her with TLC for the rest of her stay while she recovered. We felt so good knowing she was in loving hands while we were away. Wholeheartedly recommend this business! Our dogs don’t stay anywhere except Home but when we have vacations we use these folks. They care that our dogs are there, the dogs are always happy when we drop them off, and for what we want the price is great. In fact we would expect to pay more. And they seem cleaner than when we dropped them off. Which we like. Another great stay with our friends at the spa! When my owner drops me off, I just can't wait to meet all my friends and counsellors at Doggie Day Camp. We have such fun playing together! This week I even got to stay over for several nights as well. I just love coming here. I found the physical layout meticulously clean and smelled wonderful . My dog , who can be shy around people has been there twice for boarding and came home happy ! The staff at the pet resort have been so very helpful and caring with our dog. We take her to day camp and board when needed. We work together if there are any issues with our dog’s behavior and they all have been so kind and knowledgeable in how to help us. We HIGHLY recommend them and trust them with our dog and cat whenever we go out of town. We’ve been with them for years. We left Nya (our one year old Lhasa) at Norwich Pet resort over Christmas while we were away - she was delighted to see us when we came back but more imortantly she was running up to the staff for goodbye cuddles! She was happy and tired following her stay and we will definitely be using you again!! I feel completely at ease leaving my dogs at the Norwichtown Pet Resort! No worries here! Knowing my dogs are in the best care with the most professional caring staff puts me at ease while I am away! I was happy to pick up Harriet after leaving her in your care. A week seemed like a long time, but it was nice to know she was taken care of and I would bring her back if the need arises. Thank-You for caring for her. A place you can count on! We really love using Norwichtown Pet Resort to board our cat. We feel the accommodations are clean and that our cat is well cared for. She needs medicine twice daily and the staff has been really great with making sure she gets her medicine. We also feel more comfortable leaving her knowing that she will be checked on every day and given a thorough exam for her health/well-being. You can also arrange for snuggle time/extra attention for your pet. We highly recommend this place! Our dog Reiley had a great time at the pet resort. He came back happy, with a full belly and smelling good. When we have brought him to other kennels he has tried to knock us over to get out the door. He was calm and happy to see us but he did not seem in a hurry to leave. Holley Bearre spent her Sunday with Rebecca getting pampered, groomed and lots of loving. When I picked her up that afternoon she was radiant, happy and ready for a walk down the runway to show off her beautiful coat and well manicured nails. Thank you once again Rebecca for your professionalism and your endless love for Holley Bearre !! I would highly recommend this facility for their boarding, daycare and grooming services, you will not be disappointed. We have boarded Brandy for many years with the utmost trust and confidence that she was getting the best care. We wholeheartedly recommend Norwichtown Pet Resort for your beloved pets. I give them a 5 star rating. Our small dog is a member of our family, we are so thankful to all of the staff at Norwichtown Pet Resort for providing exceptional care to our pet. We have been bringing our pets to Norwichtown Resort for several years, we trust our family members to their care. We are so appreciative of the exceptional service. I’ve been bringing my Aussie, Cooper, for many years and wouldn’t dream of going anywhere else! You guys are the best!!!! I know that I can enjoy my vacation when Maddie stays at the Norwichtown Pet Resort and Spa. Maddie always seems to enjoy her vacation there too. I know that she is getting good care which is important to me as she is my furry child. We take our two bearded collies for grooming here. It is a wonderful place and the staff is very professional, accomodating and extremely helpful. My dogs love it here and so happy to see Rebecca the groomer. She does an absolutely fantastic job grooming the dogs and she loves the dogs. 5 plus star rating. I have all the trust and faith in your Resort. Our Gracie is a cherished member of our family and wouldn't just leave her with anyone. Thank you for taking such good care of her, even though I know she can be naughty. These folks are great! They take really good care of our dog. She is not stressed out or exhausted when we pick her up and she doesn't balk when we bring her in to drop her off. Clearly, she is perfectly happy being at this kennel! We routinely sign her up for "nature hikes" and grooming. It's not the least expensive option, but we believe it is totally worth it. Another terrific stay at the Spa ! Our shepherds, Bella & Buddy, recently had another terrific stay at the Spa ~ this time for 3 days! It's so clear to see what great care they receive by how happy they are when we pick them up. Whether going out of state or out of country, whether for 3 days or 3 weeks, we are confident the staff at Norwichtown Pet Resort & Spa will care for Bella & Buddy as though they were their own dogs! We can't say enough about what a great place it is. We have been pleased with the services of Norwichtown Pet Resort for many years. Our dog Trot is now eleven, and his needs have changed. The staff is aware of his vision problems and have adjusted their care accordingly. When Trot vacations at the resort, rather than romping with the other dogs, he now enjoys his private nature walks. We appreciate the hard work of Katelyn and the staff, as well as Rebecca's wonderful grooming. Celie needs lots of attention and she gets it when she stays at the resort! She comes home relaxed and happy so I know she was treated well. 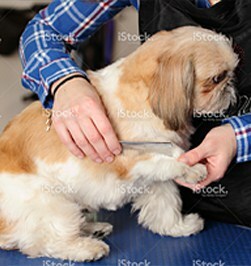 The staff is always very friendly and professional and the groomer does a great job too. Thank you all for taking good care of our fur baby and I will keep referring people to you. Best care a dog could have! The staff at Norwichtown Pet Resort gave our dog Tucker the best care one could ask for. While 400 miles away our dog became ill and the staff was in touch with us every day! They gave him extraordinary care, set up a veterinarian appointment, and even after we picked him up they followed up with phone calls to see how he was feeling. We were so impressed with their genuine concern, compassion and professional care!! Most amazing home away from home for our pet! We love bringing our Cally to visit, she really enjoys camp and always comes home smelling amazing after being groomed! The staff is really incredible, and knows how to handle Cally when she gets over excited. We feel totally comfortable, without a care in the world, while Our pup is on vacation at the Norwichtown Pet Resort. We highly recommend the experience! Our dog who has been going here for last year and half absolutely LOVES it here! She is extremely eager to go into the waiting area each and every time which tells me that she enjoys herself here. The staff is always very sweet and the facility is very clean and well maintained. I would highly recommend this resort to anyone and everyone. Our dog also goes to day camp and always comes back tired and happy! Thanks for doing an outstanding job! This was the first time our Princess has ever been away from us and we were worried she was going to miss us as much as we were going to miss her. I guess not! We checked in on her periodically and was always told she was doing great. The staff was so attentive to her and said she was not sad or scared and she seemed quite comfortable. Since coming home, she now even sleeps in her own bed. I would not hesitate to let Princess stay at Norwichtown Pet Resort and Spa again in the future and will recommend Norwichtown Pet Resort and Spa to all of my friends and family. Thank you for taking such great care of our "baby". Holley Bearre & Zena got home from their grooming and by the looks of them they are ready for the Westminster. The staff at Norwichtown Pet Resort are the most attentive and their attention to detail is beyond reproach. Thank you Rebecca, Caitlyn and the entire staff for taking such great care of our girls. Norwichtown Pet Resort is the best thing that ever happened to our family, especially Rusty our dog. I feel like our dog is safe and always well taken care of. The staff has always treated Rusty like he was their own!! I have boarded my animals with Norwichtown for 15 plus years. They have always done an excellent job in caring for my pets. Our family enjoys reading the "report cards" from Doggie Day Camp. Two years ago they suggested my dog only participate in 1/2 day camp because they observed her becoming fatigued . They didn't have to share that with me and could have continued charging me extra for camp that she would not have enjoyed. I really appreciate the caring staff and always feel a sense of security that my pet is well cared for during our vacations. I can always enjoy myself while I am away knowing that my beloved pets Mickey and Molly are well taken care of. The staff is the best ever and they both love going there. Hercules and Maggie Mae (my adorable yorkies ) simply love Norwichtown Kennel and Spa. They get all excited just driving to the site. The staff is helpful, friendly and accommodating and the facility itself is immaculate and welcoming. I wouldn't mind staying there myself. The best kennel I've ever been to. We boarded our dog for 5 days while our daughter had a dance comp. in Maryland. I never once worried how Chance was as I knew he was in good hands and probably having a mini vacation for himself through the day camps they offer! He will be coming back for a stay this September! We have been using Norwichtown Pet Resort & Spa for about 3 years now. When Boo was a puppy we would bring him to day camp a couple days a week and use the boarding services. The staff is the BEST!!! They all know Boo by name and show how much they adore him. We always feel we are leaving him with people that will take the best possible care of him. We never worry about him when we are away and he always seems to have a good time. We can tell because we can log in and watch him play which is an awesome service! We drive an hour round trip to bring Boo to the Norwichtown Pet Resort and Spa even though there are plenty of kennels around us. None of them are resorts and none of them make us feel like Boo is with family! I have two Weimaraners and they are very demanding. We love our dogs and they always have the best at our house. We take them to Norwichtown Pet spa when we go on vacation and they both love it there. The staff is always friendly (most of them know Bella and Max) and they are reasonably priced. We love Norwichtown and will continue to use them as our dogs home away from home. We have had five dogs over the years and used various groomers and kennels during that time period. Before Teddy past, we shifted to using the Norwichtown Pet Resort and Spa. We liked it so much, we continued to use them for boarding, day care, and grooming after we got Mike and Molly. They provide a very comfortable/happy atmosphere for the dogs to stay in. Each of the staff demonstrate a real love for the dogs and provide them with a loving environment. The groomer is top notch, never failing to cut them to our satisfaction the first time. I highly recommend the Norwichtown Pet Resort and Spa for all your boarding and grooming requirements. We have been boarding our dog here for many years and have always been pleased with the exceptional care she receives. Highly recommend. Our Big Boy Did Great ! We are super happy and pleased to know that our almost 200 pound Saint Bernard Harry was so well taken care of while he was in residence for a week at Norwichtown Pet Resort. We were able to put Harry in the Imperial kennel (extra big with a kennel camera). I am a completely anxious dog owner and was super worried to be quite frank as Harry had trouble last summer at a different kennel. The staff at Norwichtown Pet Resort was warm and welcoming - listened to our concerns and made us feel completely at ease. We scheduled Harry for a bath before his pick up. Can't tell you how awesome it was to greet our clean, fluffy and happy boy! We were told upon picking him up that the Staff really enjoyed having him as well. Thank you so much! It's the only place I trust to look after my dog! I'm always anxious when I have to place my lab in boarding kennels, but the facilities and staff here are so good, I feel this is the next best thing to him being at home. They are always efficient and polite, and our dog is always excited to go there and looks in great shape when we pick him up. I would highly recommend them. We trust Norwichtown Pet Resort & Spa! We have used Norwichtown Pet Resort & Spa for many years, sometimes for a day of camp/play and more often for stays when we are away. The staff is always very patient and friendly and our former dog never even bothered to say goodbye to us as she was pulling to get into the facility and on with some fun. They had our complete trust in her care, especially when she was older and had medical issues. We were able to leave her in their care with confidence that she would receive her medications (not the case when we boarded her one time elsewhere) and the staff's consideration of her health and age. And they never once disappointed us. We recently boarded our young puppy for the first time and knew that he would be in good hands. The staff didn't seem to mind my daily calls to check on how he was doing. He was glad to see us, but we would have no second thoughts about using this kennel any time we feel in necessary to board our dog. Kudos Norwichtown!...you are definitely our "go to" kennel. Incredibly loving towards our dog! Zoey, our Chocolate Lab spent a week at the kennel while we were on vacation. She loved it there! Zoey celebrated her 1st birthday while we were away and the Pet Resort helped her celebrate with a special birthday cookie! They even sent us home with one to give her so we could celebrate with her. She came home clean, happy and exhausted! We will always use Norwichtown Pet Resort! Thanks for everything! I love Norwichtown Pet Resort because the people who work there truly love the animals. They are committed to the well being of each and every pet and they do all that is possible to make the animals comfortable. They offer wonderful services such as cuddle and play time and even special Christmas and Thanksgiving dinner treats. As my dogs aged, they were even more attentive to their special needs, providing extra bedding and love to make sure that they were happy. Thank you for your wonderful commitment to our pets. My two girls Zena & Holley Bearre absolutely love their groomer - Rebecca and their special friend Kaitlyn. This resort is without a doubt a first class operation with a staff that treats your pets like their own!! Norwichtown pet resort a fun and loving place for your pets. We have brought our dogs Roxy and Jewel here for years. Everyone at Norwichtown pet resort has been loving, kind and have gone above and beyond in taking care of them. It makes me feel happy and relieved that they are well taken care of especially when I travel for a long vacation and they love being there. Thank you for your love and support. Jett has stayed at the pet resort several times. On this trip, he developed an ear infection, which is not uncommon for our German shepherd. When I picked him up, the staff told me they had cleaned his ears a couple of times and clipped his paws to stop him from scratching them raw. I appreciated the good care they provided him, as usual! I always love reading his "report card" from doggy day camp and seeing how he spent his days. Thanks again! 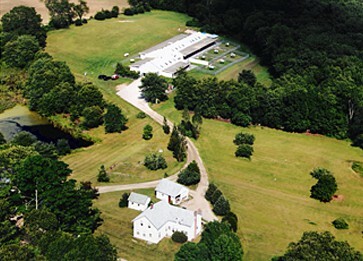 Norwichtown Pet Resort - Where the employees treat your pets like they are part of their family! My dog Charlie has been going to Norwichtown Pet Resort for several years and is a regular at the doggie day camp service they provide. I have complete trust in the employees when Charlie is in their care. I have seen the employees show a genuine love for all of the dogs, not just mine! This is not just a job, but a place where they take pride in their work. The employees have completed several training courses to enhance their knowledge and it shows in their professionalism. I have been allowed to tour the facility without a prior appointment and the kennels are immaculate, and the animals seem calm and happy. I highly recommend the Norwichtown Pet Resort to anyone who is looking for a safe, clean and loving environment to bring their pet! Thank you to the great employees of the Norwichtown Pet Resort for making Charlie feel like a member of YOUR family! YOU REALLY TREAT OUR PETS LIKE FAMILY! Our 6 month old chocolate lab puppy stayed with you over Veterans Day weekend. Zoey had a blast! You really treat our pets like family! Thank you! The next best place to home! Arthur and Henry are always so happy to go to Norwichtown for their day camp and overnight stays. We no longer say "daycamp" before we get in the car or there is howling and singing for the 20 mile ride! We feel especially grateful for the extra care that the staff at Norwichtown takes with our furry buddies...excellent supervision during playtimes, the nightly walk, adhering to their diets and LOTS of hugs are things we can count on from everyone we have met. We have been going to Norwichtown for over 15 years now and, honestly, it just keeps getting better and better. The staff stays current on animal health, diet and exercise. We always feel our boys are safe, happy and well cared for when we have to be away. We have looked at other places in case we need a back up, but have never found one that offers the complete package of knowledge, care and hugs that Norwichtown gives our guys. Thank you to all the staff at Norwichtown Pet Resort and Spa! Both Mike and Molly are always excited to know they are going to visit you. They both have a very happy stay, even if only for grooming. They both love the attention and care you give them. Blizzard loves going to Norwichtown. He has a great time and I am told he loves the nature walk.Many thanks and keep Up the good work. for taking good care of Kimber. We have boarded dogs at Norwichtown Pet resort & Spa since 2006 and we have been using the day camp service August 2010.We have also had dogs groomed here and our boxer has completed and agility training course here.In all cases,we have been totally satisfied with the programs,the care provided our dogs,and the friendliness and professionalism of the staff. Welcome to Norwichtown Pet Resort & Spa where pets are family. Thousands of area pet owners chose Norwichtown Pet Resorts for our overnight pet care, day care, grooming and spa services. We are not your “typical” boarding kennel. We provide loving & professional care with a variety of activities to accommodate your pet’s needs with our specially trained staff. Call us today or come in to take a tour, meet our staff & find out why Norwichtown Pet Resort will become your pets favorite place to play, stay and feel loved.